This course provides hands-on learning experiences on how modern CAD and CAE technologies improve the three key factors of product development: product quality, development cost, and time-to-market. The course will primarily cover first three-stages of the product development process: conceptual design (ideation), detailed design, and engineering analysis. 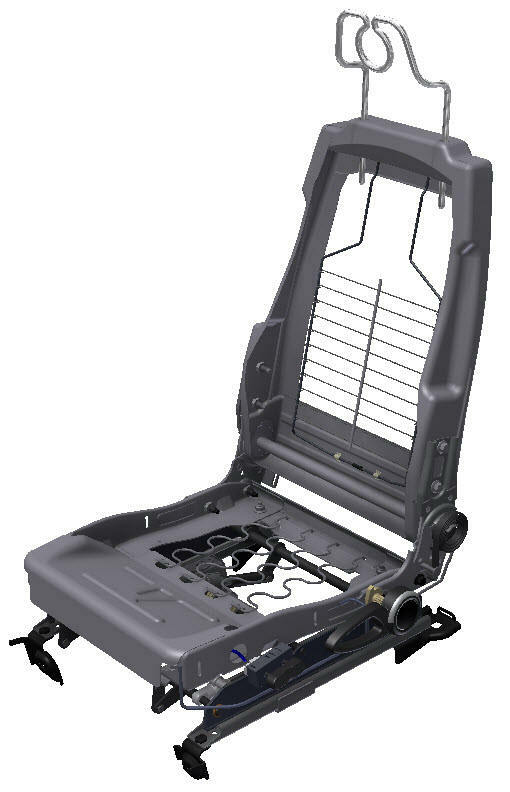 In Fall 2013, we will use automotive seats as a target product. The course starts with the initial ideation phase of development and concludes with producing technical publications of the product for marketing and support. Each segment of the course will contain lectures that illustrate the market demands and relationships of the product development cycle. Company case studies and demonstrations on how the modern CAD and CAE applications help companies develop better products will also be used during the lecture sessions. Throughout the semester the students will use modern digital engineering software packages to complete team projects and individual tasks. 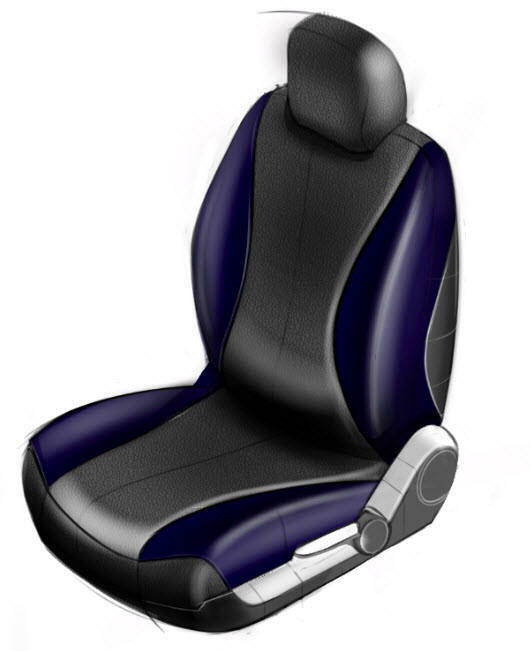 The primary projects for the course will be to redesign and make improvements to an existing automotive seat product for an upcoming new vehicle model. The following commercial software packages will be used as examples of modern digital prototyping tools. The software packages will be made available to students with no cost. There is no designated textbook for this course. Reading assignments will be posted in the schedule section of the class web. Problem Sets: 11 problem sets are given to help you better understand the course material and learn the software usage skills. Problem sets are posted on the "Schedule" section of the class web. Individual Effort: The solutions to all the problem sets that you hand in should be generated by your individual effort. It is ok to discuss the approach to problems with other students, but the submitted work and CAD/CAE files must be your own and should not be copied from someone else. Late Policy for Problem Sets: 30% off for one day, 60% off for two days, and no credit afterward. For example, suppose that the due date is 8:30 am Thu morning; you will lose 30% by handing it in Fri morning and 60% Sat morning. Note: Everyone is given two no-penalty late days. You may submit two Problem Sets one day late with no late penalty, or one Problem Set two day late with with no penalty. Late Policy for Project Reports: No credit for late Project Reports. Grade Correction: Please review your graded paper right after it is returned to you to make sure that there is no error in grading. If you find a grading error, you need to let the instructor know as soon as possible but no later than a week from the date your paper is ready to be picked up. The grade will not be corrected after one week. Textbook Reading: Reading assignments are given occasionally . Check the schedule section regularly for each week's reading assignment. In-Class Assignments: During the lecture time, short (5-10min) in-class assignments will be given. This allows you to reflect on what has been covered in the recent lectures and reading assignments and to check your understanding of the material. It also gives the instructor a chance to detect and point out typical mistakes so you will be better prepared for quizzes. The class participation credit (10% of the total grade) will be given partly based on how many in-class assignments you submit. Note: As long as you submit 75% or more in-class assignments you will get the full attendance credit. However if you submit only 50% of the in-class assignments you will get only 50% of the attendance credit. The 25% tolerance is intended to cover all personal needs that may come up during the semester including interviews, illness, laziness, etc. A missed quiz counts as zero credit unless you get permission in advance from the instructor. If you are sick a note from the student health center is required. A make-up quiz may not be of the same difficulty as the in-class quiz. The instructor can also give an oral make-up quiz instead. Time management is a critical factor to your academic success, as to any professional environment. Being a 12-unit course, it is expected that each student will devote at least 12 hours a week to: (1) reading assignments, (2) lectures, (3) completing problem sets, (4) reviewing lecture materials, and (5) preparing for quizzes. In the first half of the semester, you will work with other students to design a new product. CAD Project will count 8% of the total grade. Please "design" the difficulty and scope of your project so that you will spend the time and effort that you would spend for approximately 2 or 3 Problem Sets. In the second half of the semester, you will work with other students to realize a multi-physics engineering analysis. CAE Project will count 8% of the total grade. Please "design" the difficulty and scope of your project so that you will spend the time and effort that you would spend for approximately 2 or 3 Problem Sets.